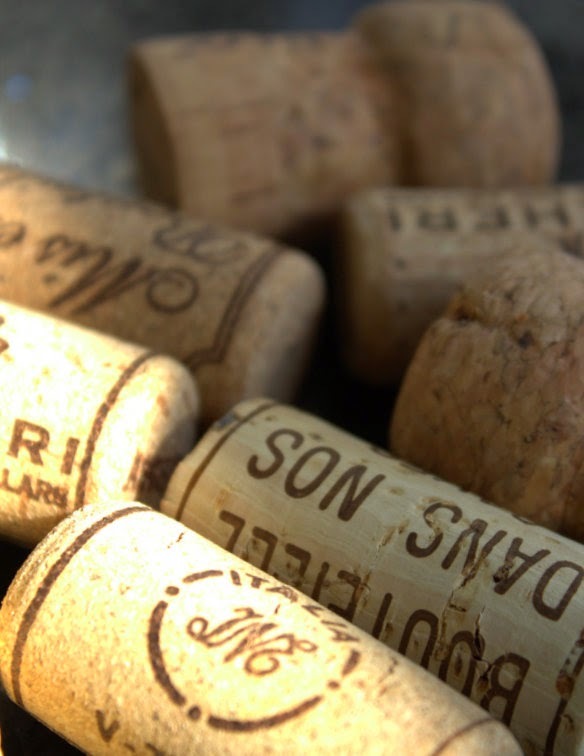 Has anyone else ever thought what a waste it is to throw away old wine corks? 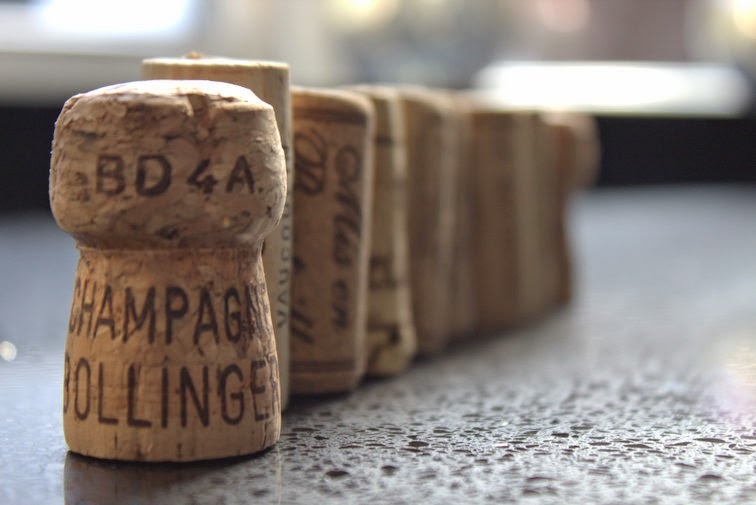 Both my husband and I are wine enthusiasts (see my post: The Ultimate Hostess for Wine Lovers ) and our favourites are old world wines which mainly still use natural cork rather than screw cap. 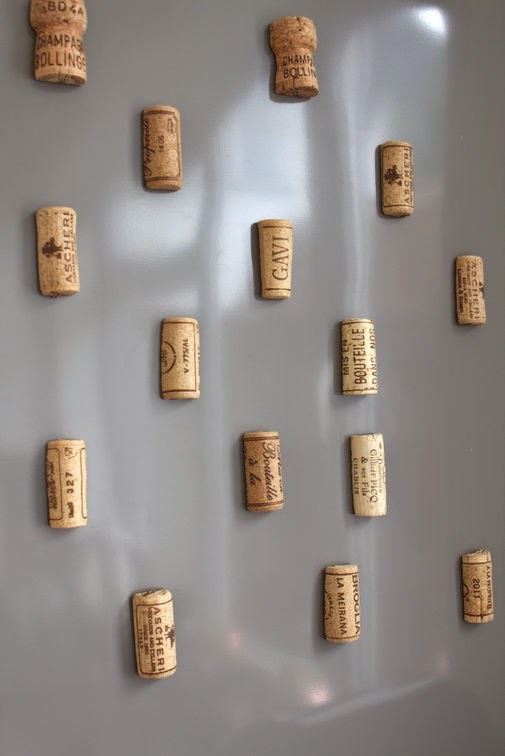 I've always thought that wine corks look beautiful and I started collecting them a while ago with intentions of doing something creative with them. Since we got our new fridge last year, I have been meaning to buy fridge magnets but just never got around to it. 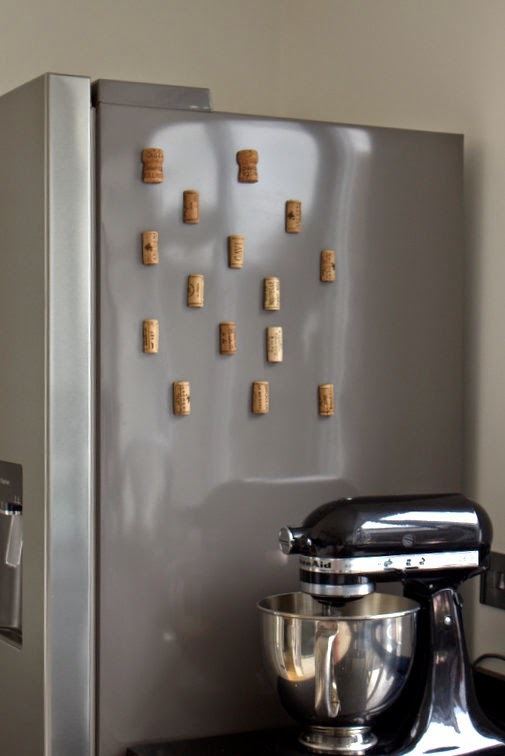 I recently happened to read on a wine website about using wine corks as fridge magnets and immediately loved the idea! I always write down little notes for myself but keep losing them so what's better than sticking them on the fridge! 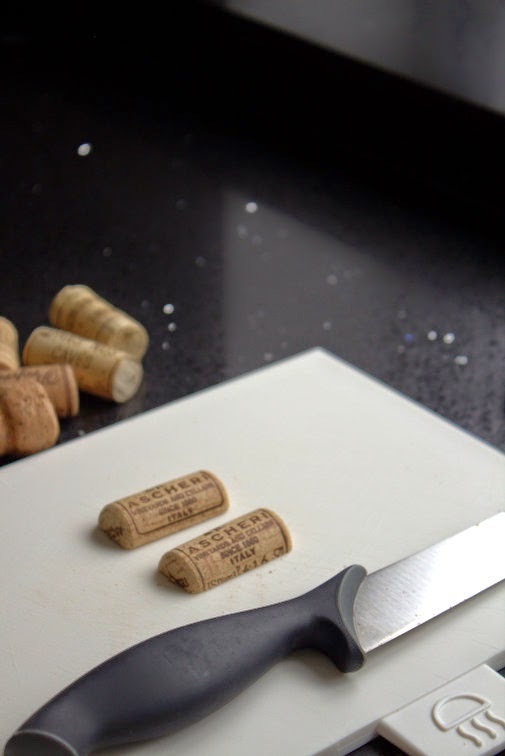 If you don't feel like doing them yourself, you can buy ready made ones online but the whole idea is collecting the corks from your favourite bottles which feels so much more personalised in my opinion. I also feel that wine corks look great as they are a bit rustic looking and do seem to be match the colour of our kitchen floor (which is Quickstep laminate Natural Varnished Oak). The fact that they look natural adds more character to our modern decor as well. 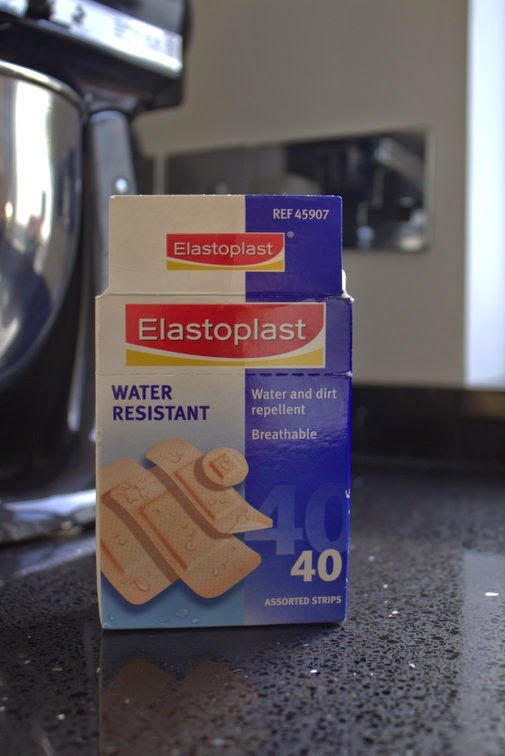 I am very pleased with how they look and they seem to complement our kitchen floor nicely. I actually wanted to keep the fridge front clear because I will pay more attention to the magnets when they are on the side of the fridge as they will be conveniently located next to my kitchen aid and the main food preparation area. 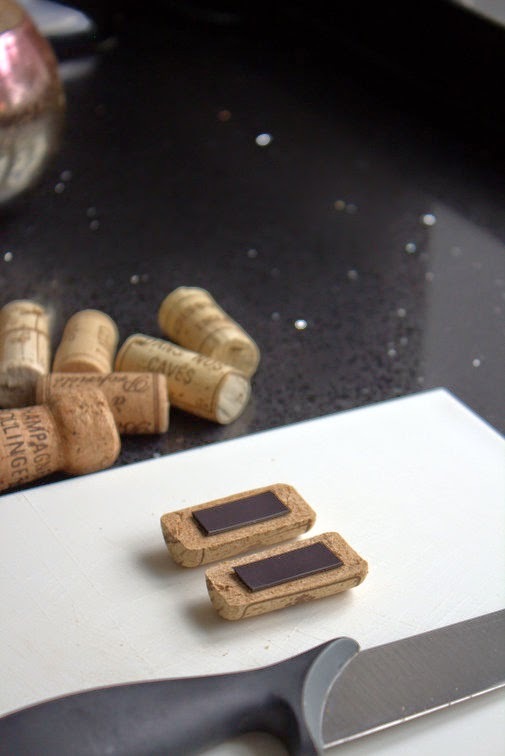 If you are looking for more inspiration what to make out of wine corks, check out 50 Great Ideas for DIY Wine Cork Craft Projects. Pinterest have some great ideas as well! 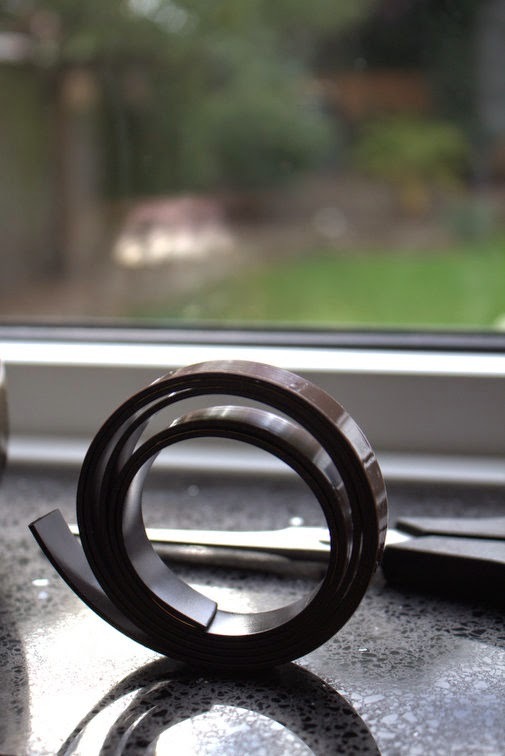 Also, make sure that the magnetic tape isn't too thin otherwise it won't hold. I used 12.7 mm wide magnetic tape (link here) and it's perfect.